The need for translation of certain documents can serve many purposes and uses, thus making birth certificate translation services a necessity. 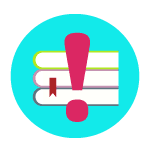 Documents such as birth certificates which are usually required when applying for a visa or immigration, for a university or in some legal procedures need to be translated and certified. The certificate translation services we offer include translation of birth certificates from over 100 other languages into English with absolute professionalism in translation, speed and precision. Also, we guarantee approval of the certified copy of the translation of a birth certificate by all competent authorities in the US and other countries. Translation of birth certificates is usually needed for legal, immigration, professional or academic purposes, where the translation of this document is really important. USA Translate ensures both accuracy and quality of our services provided by our authorized and certified translators recognized by the USCIS. 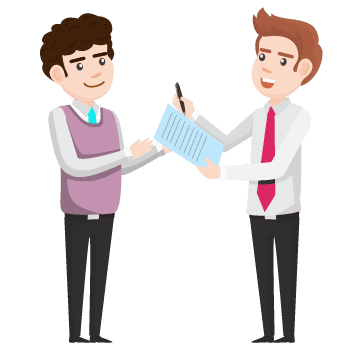 The preliminary procedure when receiving such a document is an assessment of the type and nature of the document and therefore, an assessment of the person from our team to be entrusted with a particular translation activity. The permanent objective of our company is to provide security to our customers and guaranteed quality of the service that we offer, which provides a long-term relationship with them. Many of them are our regular clients who express their loyalty through continuous cooperation with our company and have a positive experience and reliability on our translation work. We are working 24 hours a day, 7 days a week! Our translation managers are always available by live-chat, email or phone and they’ll give you a free quote in minutes! Your birth or marriage certificate will be translated the same day. 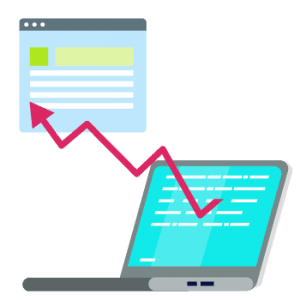 Due to using our own made translation management system which allows us to be in touch with our translators at any time, we provide high quality translations at the lowest rates in the industry! If you need fast certified translation for your personal documents, USA Translate is the best choice! With us, you get your marriage or birth certificate translation the same day, guaranteed. Ask for a free quote now! Any US translation agency which provides translation for immigration can translate your birth certificate. Even a freelancer could do it. You just need to make sure that your translation is accurate and bears a certificate of accuracy which is done according to USCIS rules. If you’re not sure what you will receive from others, get in touch with us and we’ll do the translation in 24 hours and it is guaranteed to be accepted. How much time would you need to translate my birth certificate? In most cases, customers receive the appropriate translation of their birth certificate the next day. 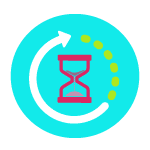 There is an exception in certain cases where there is postponed time of translation, which should be checked by using our special tool certification translation. Also, the next most frequently asked question is – whether the translation of the birth certificate will be accepted by the USCIS? The answer is yes, all translations provided by USA Translate are accepted and recognized in full by the USCIS and other relevant institutions and bodies in the United States and we assure you that the translation of the birth certificate obtained from USA Translate is absolutely recognized and accepted everywhere. Customers are often interested in – what will the final product of the translation of their certificates sheet look like? The transfers that have appropriate certification by an institution, cannot be fully authentic in appearance compared to the original document that includes tables, colors and stamps, and also comply with the same vocabulary as the original keeping of the meaning of words. See our certified translation sample for more information. Which institutions usually require marriage or birth certificate translation services? Universities, recruiters, most foreign governments and USCIS. Are the translations submitted by mail identical to those accepted by the USCIS? If it is a document that would serve in immigration proceedings, USCIS requires that the document be authentic. If the electronic verification of the translation that you provide is digitally signed and stamped by a certified translator this is a valid document and accepted by USCIS without exceptions. Is there a difference between a certified translation sent by mail and one sent electronically? 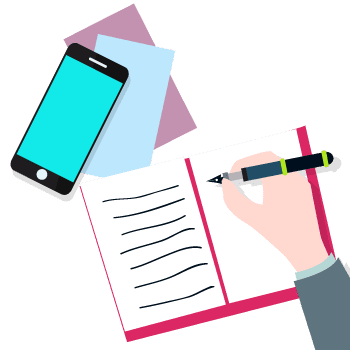 There is no difference between these two types of certified translations except the manner of receipt of the relevant documents which are electronically signed and sealed with an electronic digital signature. 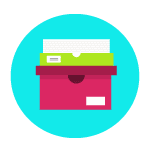 The documents are in pdf format or some other type of delivery such as by mail and have a signature and are stamped by the official certified translator. What are the determining factors that translations provided by USA Translate will not be rejected by the USCIS officer? The experience that we have had at USA Translate in recent years and because of the quality of our work which is correct and accurate, we are aware of the specifics required by the USCIS and the translations we need to make towards their needs and directions. If you use our birth certificate translation services, rest assured our translation will be accepted by the USCIS. I need a certified translation of a Certified Diploma of Higher Education and a copy of it. Will an electronic digitally signed and certified translation be accepted by my school/college? 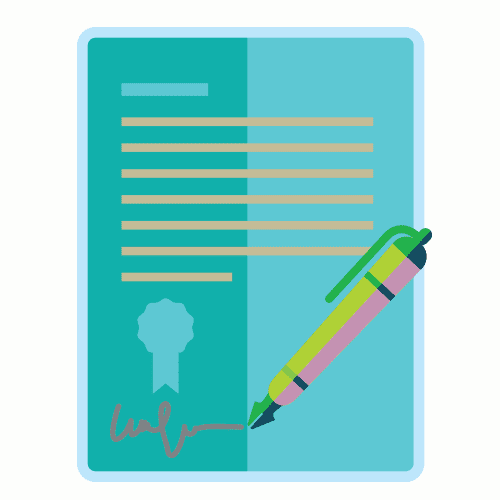 We urge you to find out if your school/college agrees to accept an electronically certified and digitally signed copy of your diploma of higher education. Usually the authenticity of this particular document is questioned; therefore we recommend that you bring a printed paper with our signature and seal of the official certified translator. We are not able to ensure, in advance, that electronic certified translations signed with an electronic certificate will be valid and accepted by the school or university, and we must respect the security policy of the institution, but as previously mentioned, if the institution confirms that it accepts electronic certified translation obtained electronically via email then that would save you time and money. What format do I need for the translation of a birth certificate to apply for US passport? US passport agencies always emphasize and require your original documents with our signature and seal which spanning classical verification of the document. When it comes to translating personal documents for immigration there are strict requirements imposed by the institutions the translation is intended for. 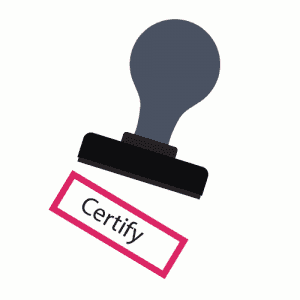 While both US and UK use the same term for certified translation, the requirements are slightly different. Such things need to be taken into account before going with the first freelancer you may have found to be the cheapest option. While the actual translation could cost you a bit less, if the certificate of accuracy is not done right your document may be rejected. Unless you want to go deep into the requirements and make sure that everything is fine before facing rejection, it is best to use the services of a company that is aware of such rules and regulations. This is one of the main issues people are facing when dealing with immigration as bad translation is not accepted. If you need birth certificate translation for USCIS, we can do it for you. We deal with just about any language and our translators are aware of the requirements. Even more, we guarantee the fact that the translation provided by us will be accepted by any USCIS office in the US, so you don’t have to worry about rejection due to bad translation. Why vital records such as birth certificates are so important for immigration? Vital records such as birth certificates are most commonly subjected to translations especially when needed for immigration and other significant purposes. Birth records are mostly useful for almost any document processes anyone can have because it contains pertinent personal information of a person at birth. The records state must be preserved and translations must all be identical to the originals. USA Translate understands how important it is to have all birth records like birth certificates to retain the records state and originality even after the translation is done. These translations could either be certified or notarized, depending on the requester agency or institution. In the US, birth certificates are generally requested as supporting documents for petitions, requests, and applications processed in the United States Citizenship and Immigration Services (USCIS) offices. Some other institutions and agencies may request birth records for various reasons including licensing and identity verifications. It is always important to ask the requester of such birth records if the needed translation must be a certified translation or a notarized translation. The two have their own distinctive differences although both types are considered valid and acceptable. USCIS generally accepts certified translations unless a notarized translation is necessary. Why such documents are important? When you need birth certificate translation for USCIS, you must keep in mind that it should be a certified translation. It is mandatory for all immigrants regardless of the country or region they belong to. USCIS, the United States Citizenship and Immigration Services, is the official department of immigration for the United States. It is therefore, even more important for immigrants to follow their rules and regulations. The reason behind the compulsion of certification is to ensure credibility and assurance on the part of the immigrant. In our view, instead of worrying over finding the best person for your birth certificate translation for USCIS, we suggest you to come to us. 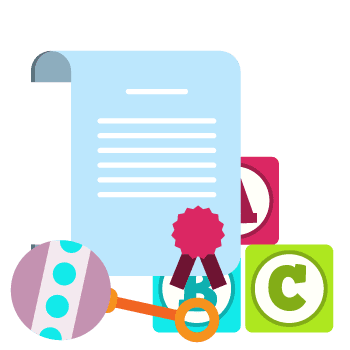 Our experts in birth certificate translation services will provide you with a translation that’s fully accurate and in accordance with the exact wording of your original document. We have a 100% approval rate at USCIS. Our happy clients will also support our claims. We have been offering the best translation services for almost twenty years now. It is a matter of immense pleasure for us that we understand industries and their translation needs better than any other translation company. We’d suggest that if you have a birth certificate that you want to be translated for USCIS, you should get in touch and leave your stress to us. Most people don’t even know that they need a certified translation of their birth certificate when they are applying for immigration to the US. Then they look for translation agencies so they can complete the requirements of USCIS. In such a scenario, people can fall prey to translation agencies that have no experience translating documents for USCIS. Birth certificate translation for USCIS needs to be accurate otherwise the immigration application will be rejected. People who are in a hurry pick the first translation agency they can find and end up paying a huge sum to get the translation of their birth certificate. The right criteria for choosing a translation agency are to make sure they are certified and can provide birth certificate translation for USCIS. Look up the reviews to find out if an agency has provided satisfactory services to its clients in the past or not. We want you to choose USA Translate, so you have no problem with your immigration application. We don’t want you to waste your hard earned money on translation which is why we offer the best translation rates and provide the most accurate translations. So if you are looking for translation of birth certificate for USCIS, get in touch with us today. USA Translate always ensures 100% acceptance for any US requester like the USCIS. We render affordable, accurate, and high quality birth certificate translation services. We are open 24/7, try our services now!